The first official appointment of the year for CRG is the Offenbach Exhibition that will take place next 16 and 17 January 2016 near Frankfurt, Germany. The Italian company will preview all its main new products at the 24th edition of this International Karting Exhibition. CRG's stand in Offenbach will showcase the new racing chassis “Gold Line”, the Centurion Rental Kart, the electric kart “E-Drenaline” and the new shifter engines Maxter MXS-2. Among the novelties introduced at the Offenbach Exhibition, the new racing range Gold Line, featuring the Road Rebel Zuera-B for KZ, the Dark Rider EVO15 and KT2 for the new category OK and Rotax, and the Mini CRG Hero line. An important space will also be devoted to the Centurion line, that features the spectacular rental kart Centurion powered by the Honda GX270 engine, the Centurion Two Seats, the Centurion Big Foot for extra-sized drivers, the Centurion Rotax and the Centurion Mini for kids. The futuristic new electric kart CRG “E-Drenaline” will also be on display. 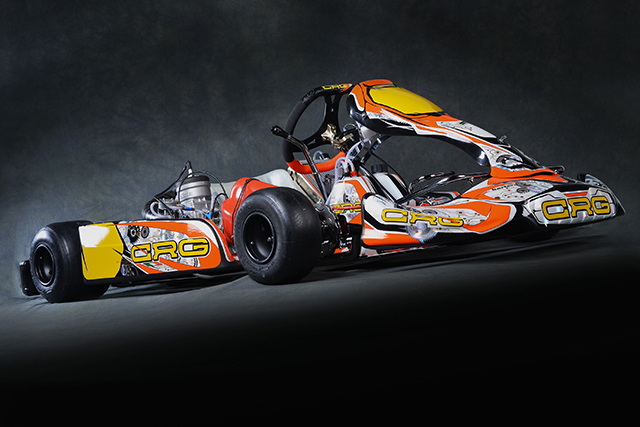 Its top class performance make it ideal both for indoor and outdoor karting and highlights all the experience gained by CRG in 30 years of racing success. The much awaited new engine Maxter MXS-2 – the evolution of the 2015 KZ Vice World Champion engine with Paolo De Conto – will also be presented at the Exibhition. CRG S.p.A. will put on display a great range of products in Offenbach, and the whole staff is ready to welcome the interest of visitors and fans of the CRG brand. CRG stands will be located in the Area A2 with the presence of the German importer Prespo, while CRG-UK by Koden Ltd. will be located in Area A1. Opening times of the fair follow: Saturday 16 January, 9:00hrs – 18:00hrs; Sunday 17 January, 9:00hrs – 17:00hrs.